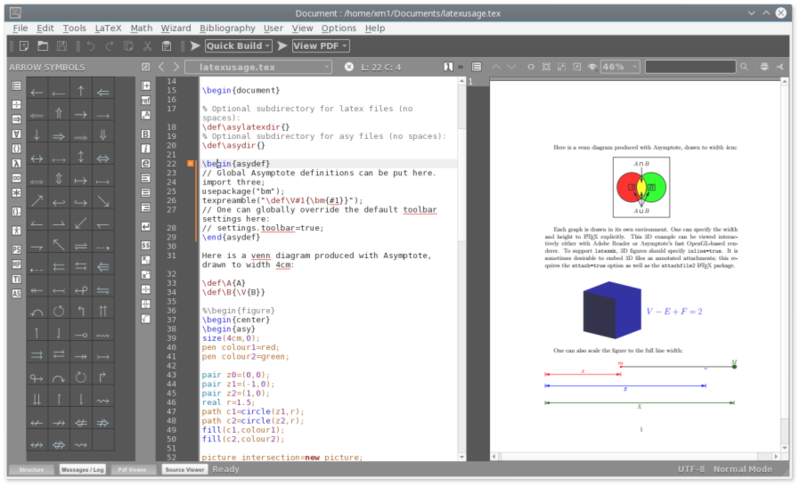 Texmaker is a free, easy-to-use, highly-featured and powerful LaTeX editor, that integrates many tools needed to develop documents with LaTeX. 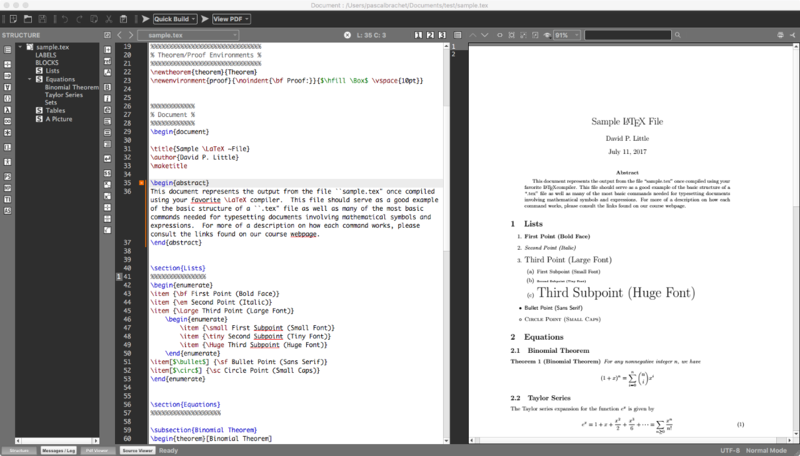 Texmaker is a free, modern and cross-platform LaTeX editor for linux, macosx and windows systems that integrates many tools needed to develop documents with LaTeX, in just one application. Texmaker includes unicode support, spell checking and a built-in pdf viewer with synctex support. Texmaker is released under the GPL license .